Choosing a Debary insurance company is never a one-size-fits-all approach. Thankfully, Insuranceland has been serving the DeBary, Florida area for over 25 years. Daily we provide people and businesses competitive insurance quotes for homeowners insurance and auto insurance to commercial insurance as well as for your toys such as motorcycle insurance, and personal water-crafts, boats, sailboats, yachts insurance protection to meet your needs. Let our experienced team of insurance specialists help you find the best insurance coverage to protect your most valuable assets. Insurance Land is an independently owned and operated insurance agency serving the residents of Debary. Let us shop the insurance companies for you. 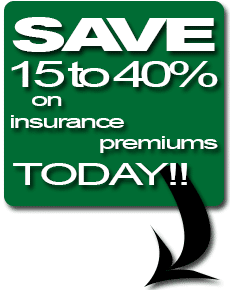 Simply fill out ONE form for your insurance needs and we can help you get the best coverage at the best price.